The Homelegance Hammond Bedroom Collection is featured in a merlot finish on select hardwoods and is stylishly accented with satin nickel hardware. 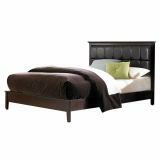 Designed with modern décor in mine, the Hammond Collection offers simple, yet clean line case pieces with two bed options: wood panel bed and channel tufted bi-cast bed in dark brown. 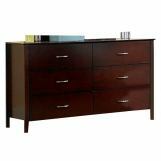 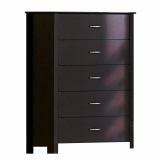 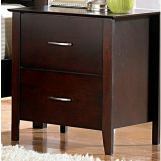 Bring home the Hammond Bedroom Furniture Collection today!